Parma Number 36: Caxton Hotel … Not worth missing cricket training for! The Verdict: This is a pretty easy Parma to review because it was missing two very important elements. The Caxton Hotel Chicken Parmigiana was served without ham and without salad. Add to that the fact that the cheese did not cover the chicken pieces (of which there were two) and this Parma does not rate well! Chicken: The chicken portion of this dish was actually quite good. There were two chicken pieces that were well crumbed and were well cooked. The chicken portion of the Caxton chicken parma was the best part of the dish be a fair margin. Tomato Sauce: The tomato sauce was also quite nice and had through it some very tasty herbs. It was a very thin covering though and did not cover fully the two chicken pieces. Ham: Non-existent … enough said. Cheese: Where the ham was missing one could have been confused for thinking the cheese was also missing given the lack of coverage of the chicken pieces. It was well melted and tasted very nice however there just was not enough of it. Side Dishes: If there is one thing the Caxton Hotel got right on this dish, the chicken pieces aside, it was the chips. They were plentiful, well cooked and well salted. What a shame though there was no salad served with this dish. Presentation: Given that there was no salad one might have expected that there would have been plenty of room on the plate for the chicken to not be on top of the chips but that expectation was not met. The Venue: The Caxton Hotel is in the middle of Caxton Street in Petrie Terrace. We ate in the Street Cafe as, strangely, whilst the chicken parma is on the menu in the cafe it is not on the menu in the Char Grill Restaurant. My parma cost $16.50. The Final Word: I have to confess that I expected more from the Caxton Hotel’s chicken parmigiana. It being without ham or salad was bad enough but the death knell was the lack of cheese on the dish. Wednesday night has normally been the night I go to cricket training preparatory to the summer of cricket and I confess that I would have preferred to be there than testing out this very disappointing parma. 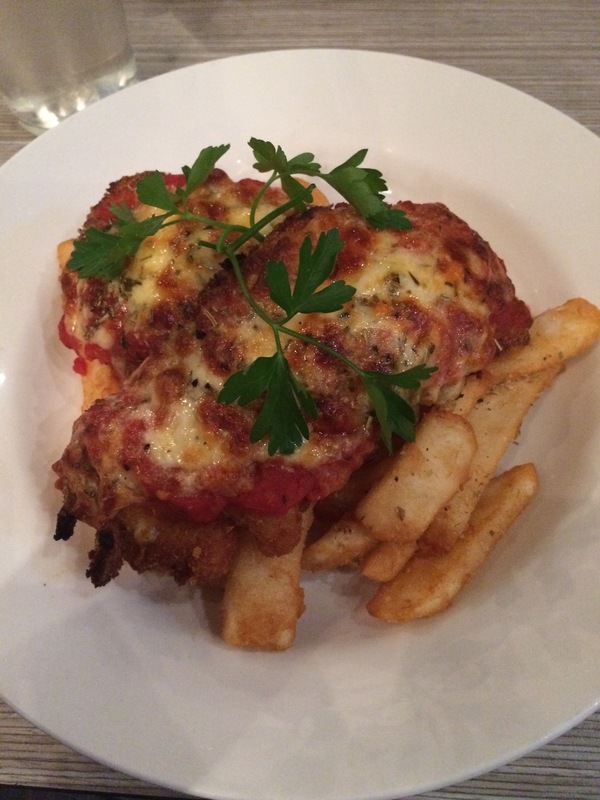 This entry was posted in Uncategorized and tagged Brisbane, brisbane's best parma, caxton hotel, chicken, chicken parmigiana. Bookmark the permalink. 1 Response to Parma Number 36: Caxton Hotel … Not worth missing cricket training for! Wondered if you have received any feedback from any of the places you have reviewed so far?